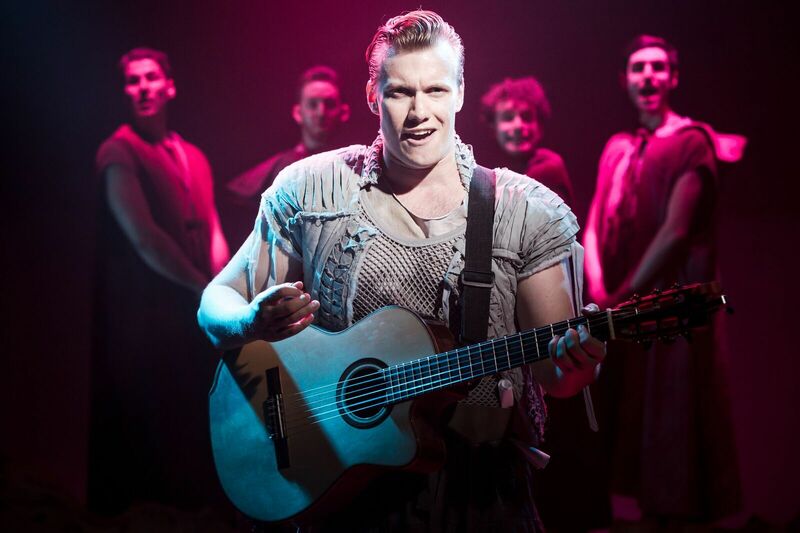 The legend of Richard the Lionhart's dubious rescue from captivity by his minstrel Blondel is the subject of this rock musical by Tim Rice and Stephen Oliver at the Union Theatre. With its youthful cast it's well sung and funny in a pantomime sort of way. It's a pity that our hero Blondel (Connor Arnold) comes across less as a rock star and more of a folk singer in this version. It could do with a throbbing beat and a few guitar riffs to keep the action moving. But you'll find a few wry observations about austerity which will seem as relevant as when the show first premiered in 1983. 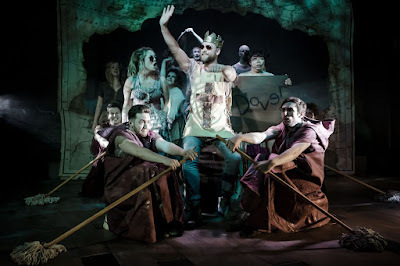 The story goes that King Richard (Neil Moors) heads off to the Middle East to fight Saladin for the Holy Lands. He preferred waging wars overseas than dealing with domestic business. 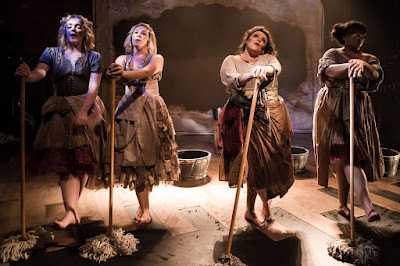 And he takes Blondel's girlfriend Fiona (Jessie May) with him as she is a good washer woman. 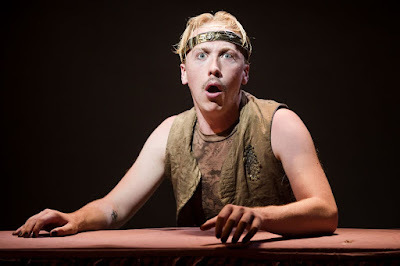 While away the mildly evil Prince John (James Thackeray) hires an assassin (Michael Burgen) to make sure the King never returns. Blondel heads off to rescue the King after he's captured in Europe. But he really wants to get his girl back, and tour the continent singing his catchy ditty about being a monarchist. The show with its wry observations about prudent housewives and austerity at home no doubt excited audiences in 1983 in the era of Thatcherism. Life could be grim even eight hundred years after the period of the story. Throughout the piece there are various references to writing bad lyrics and the struggle to write music. It's as if the musical is an in-joke. But there's also cleverness in the use of motifs and extra songs written by Mathew Pritchard used to tell the tale. Its ability to generate more than a few ear worms is part of its charm. And Chris Whittaker's choreography is used to great effect. Directed by Sasha Regan, Blondel is at The Union Theatre until 15 July.